“A Monument for the Invisible is a 16-mm film starring a blind woman. 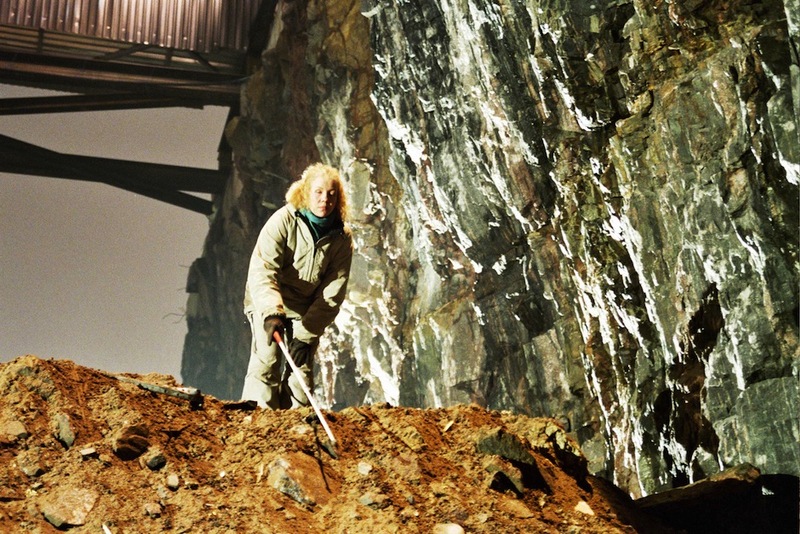 The film is part of the Monument Project, in which Pennanen investigates Helsinki’s urban environment from a blind person’s perspective. This way, she by-passes the usual emphasis on the visual coding of contemporary urban space, which is now framed in a more intuitive manner. In “A Monument for the Invisible,” the blind Johanna wanders around different parts of the cityscape—the high-tech business area, dominated by the emblematic glass-and-steel office towers, and a construction site where preparations for a large glass shopping mall are being done. Pennanen’s view of the city (subtly underlined by a stark, minimal electronic soundtrack) is distant and slightly inhuman, bare and shiny, but at the same time offering a seductive aesthetic experience. Long, slow pans and tilts caress the architecture’s geometric surfaces, and through aesthetic framing the artist emphasizes the effect of formal repetition and uniformity in today’s architecture. The images strongly appeal to the senses, as if carefully tasting reality before digesting it. The relatively short (12 min.) film has a subtle narrative build-up, that shows the main character ultimately creating her own space in the emphatically three-dimensional environment. Xander Karskens is a curator working for Museum De Hallen Haarlem, The Netherlands. 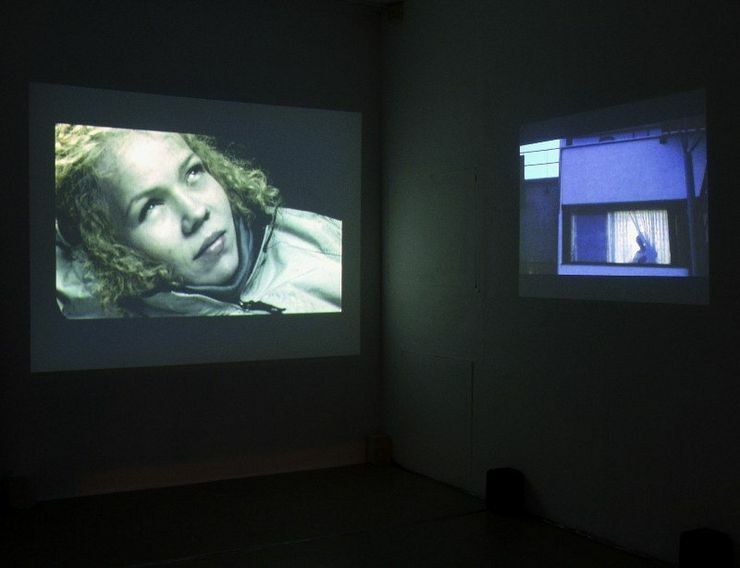 Exhibition view: ‘If It’s Part Broke, Half Fix It’ at CAC Vilnius 2011. 2-screen video installation. S16 mm colour film transferred to DVD. Duration 12 min 23 sec and 2 min (loop). Sound surround 5.1 and stereo. Dimensions variable. Music by Mika Vainio.